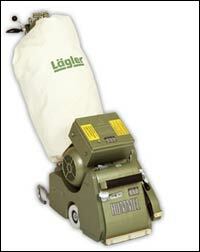 Torcan Coatings is proud to carry the Lagler Hummel line of professional grade floor sanding equipment. Convincing HUMMEL facts: extremely economical, belt can be changed in seconds, impressive working quality, fail-safe and sturdy design, optimized dust extraction and low-fatigue work. Special areas of application: plastic ice skating rinks, tartan sport surfaces, rubber granulate surfaces.